Do you have Arthritis Problem? 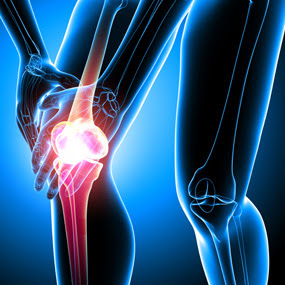 Do you have Joint Pain issue? here is some Home Remedies for Arthritis pain, joint pain Problem. Nowadays, the old and young remains worried due to arthritis. Arthritis occurs due to increase of uric acid in blood. When uric acid accumulates in the joints then you should pay attention to your diet. Vitamin C: You should intake vitamin C diet and gastro vascular substance in your meal. Low-fat Dairy Products: Low fat dairy products such as milk and yogurt reduce serum uric in the body. You must have to include them in your diet. French Beans Juice: You can drink French beans juice to remove arthritis. You can drink it 2 times in a day. This will lower uric acid. Lemon: This cirrus fruit slurry the crystal and clean the body from the inside. To exclude dirt from the body you should drink lemon juice. Celery: This is a well-known homemade drug whose consumption would reduce the uric acid. You must have to use celery in your diet. Apple Cider Vinegar: Mix 3 teaspoon of apple cider vinegar in water and drink 2-3 times in a day. Water: Drink plenty of water. Water removes dirt out from the body. Water also removes uric acid from the body. Barry: You should include fresh fruits such as strawberries, berries, cherries which remove uric acid from the body. It is easily heal the arthritis. Potatoes: Raw potato or corn seeds reduce uric acid. You can either eat raw or fried seeds of corn. Onion: It contains aspirin chemical then heals the joint pain.